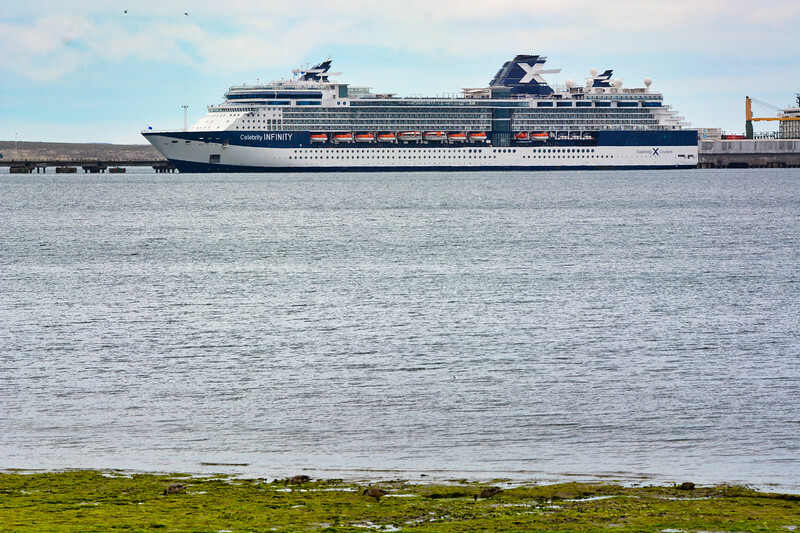 Celebrity Infinity docked at the wharf just outside of Puerto Madryn.Free Shuttles were provided to get to the City Centre. 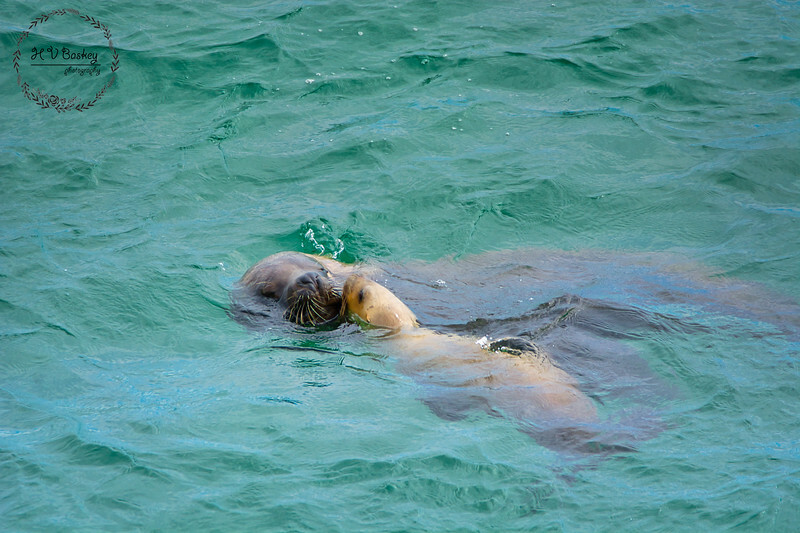 We had initially booked spots within a small group tour to Peninsula Valdez via Sentir Patagonia [ventas@sentir-patagonia.com.ar]. 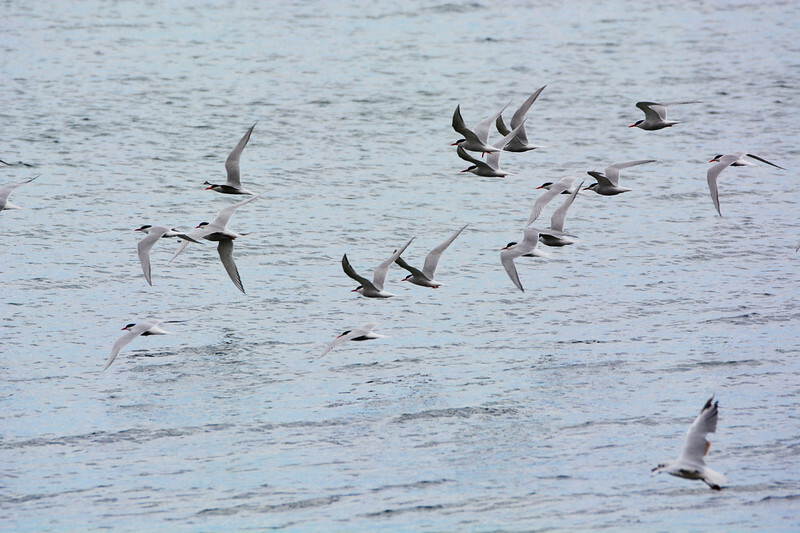 We were very happy with that plan, until we found a birding/nature specialist that could offer us a private tour within the Port area. 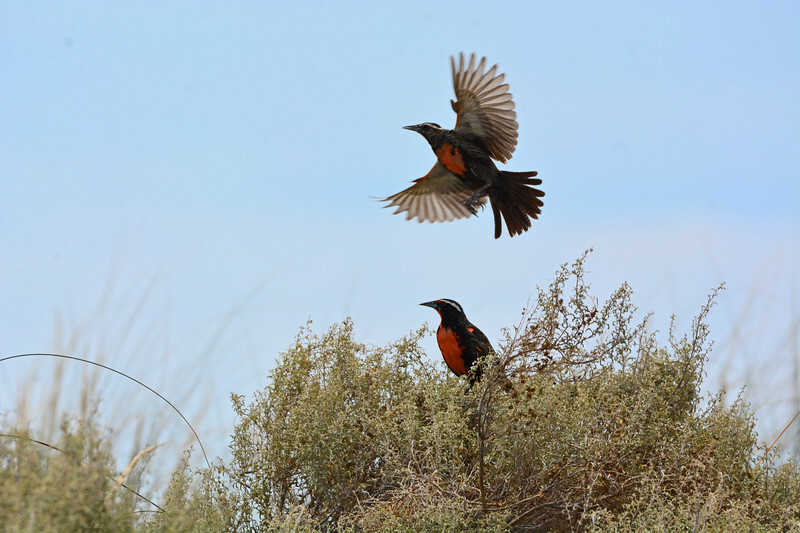 Therefore, we regretfully declined the very good offer from Sentir and switched gears to be guided exclusively by Agustín Esmoris of “Birding Puerto Madryn”. 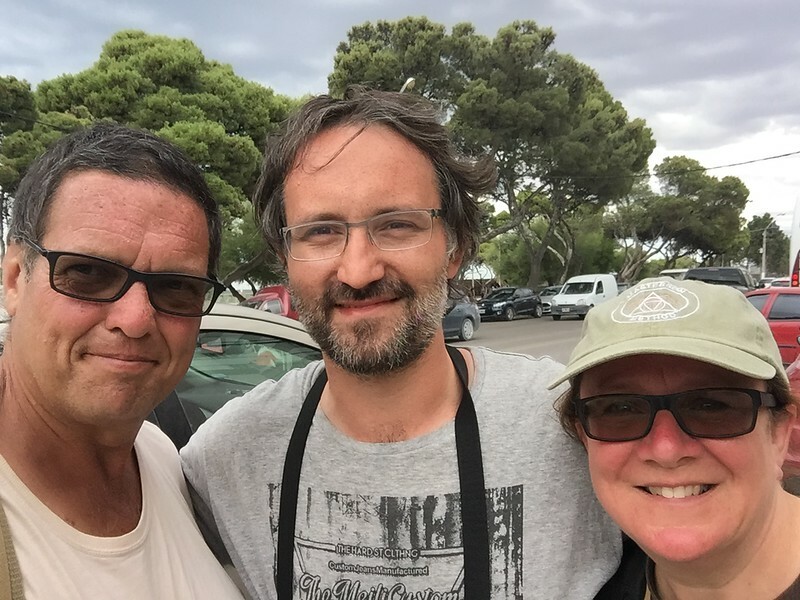 Agustín’s pre-tour customer service was excellent and we felt quite comfortable booking a private tour with him to explore the region of Golfo Nuevo. He was very transparent of what we could potentially observe in the area and provided an excellent schedule / itinerary for the day. 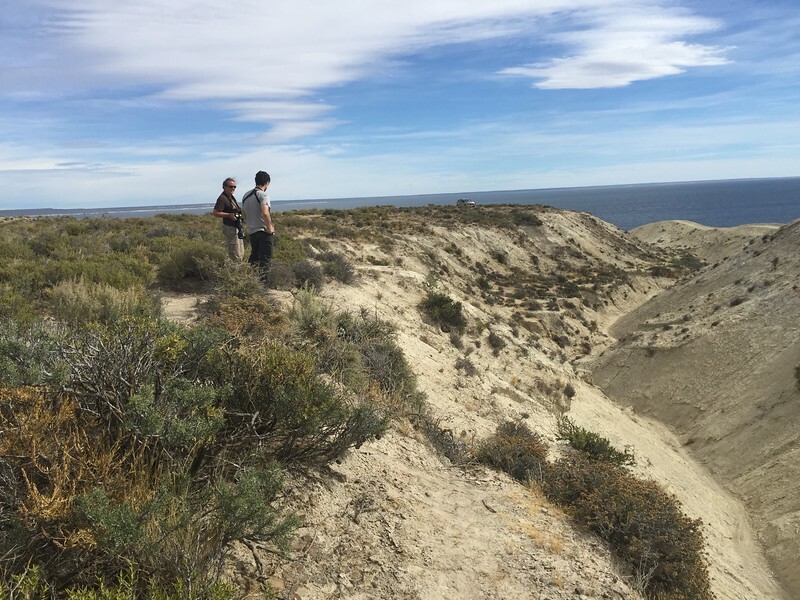 We would first search for the Magellanic Owl and then continue on to Punta Loma and take it from there! 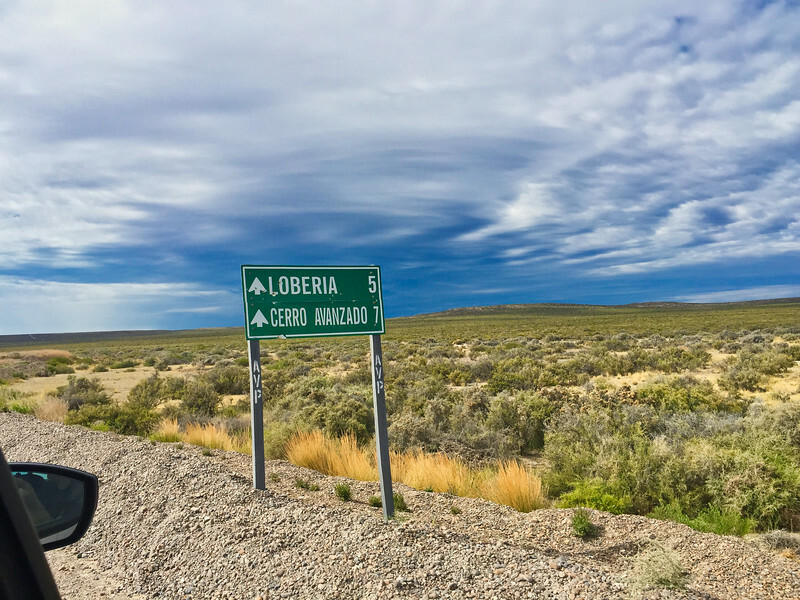 The Patagonia steppe landscape of Chubut province is flat, windswept, and covered with low growing bushy scrubs and grasses (virtually tree-less). It captures your attention with its stark and simple beauty. 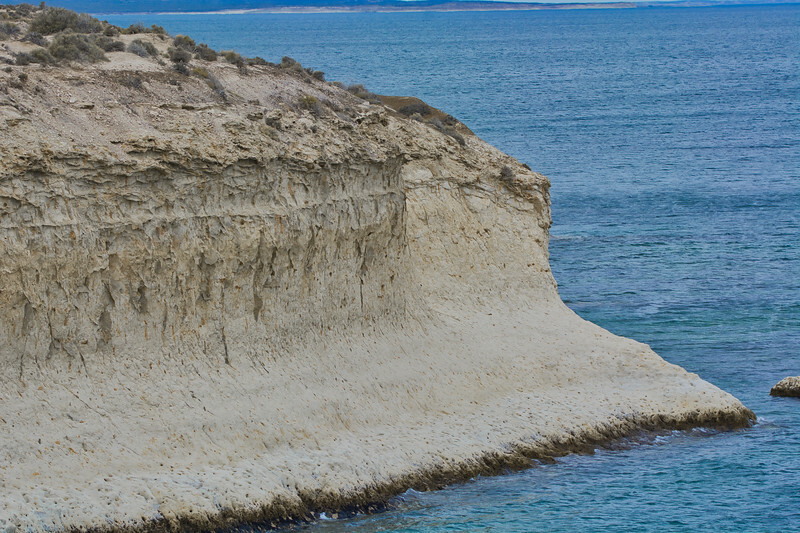 The table plateau meets the sandy-pebbly beaches with sharp to gradual sandstone cliff faces, broken apart secretly by deep canyons, not seen from the main road. These deep ravines cutting through the plateau from west to east, used to carry water from the Andes to the Atlantic. 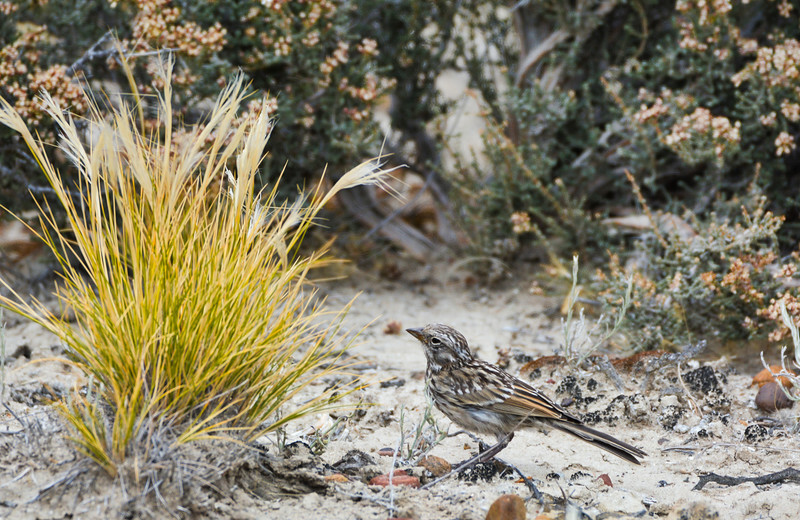 Today, only a few of them remain to carry streams, with most being dried up making them vulnerable to the severe windstorms and eventual erosion of the plateau. 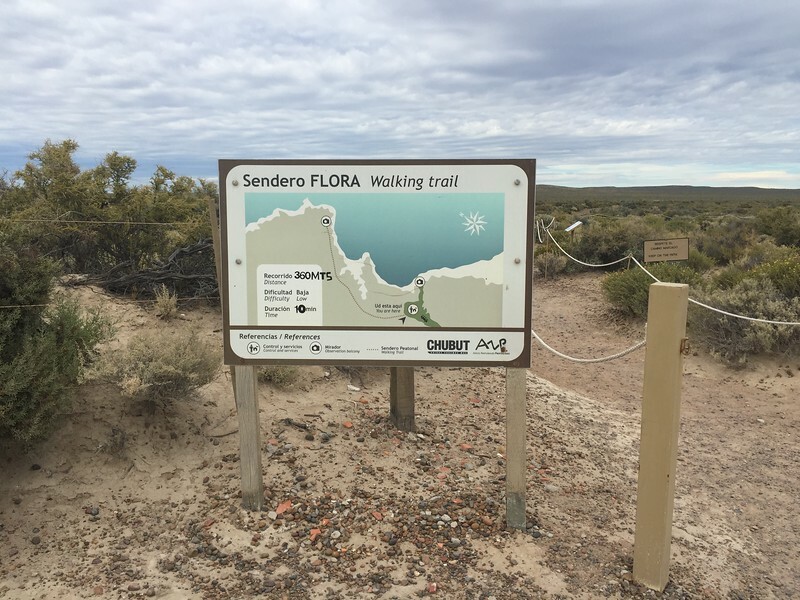 The dry bottoms consist of alluvial sand and gravel from the ages of dinosaurs, their sides decorated with semi-desert scrub. 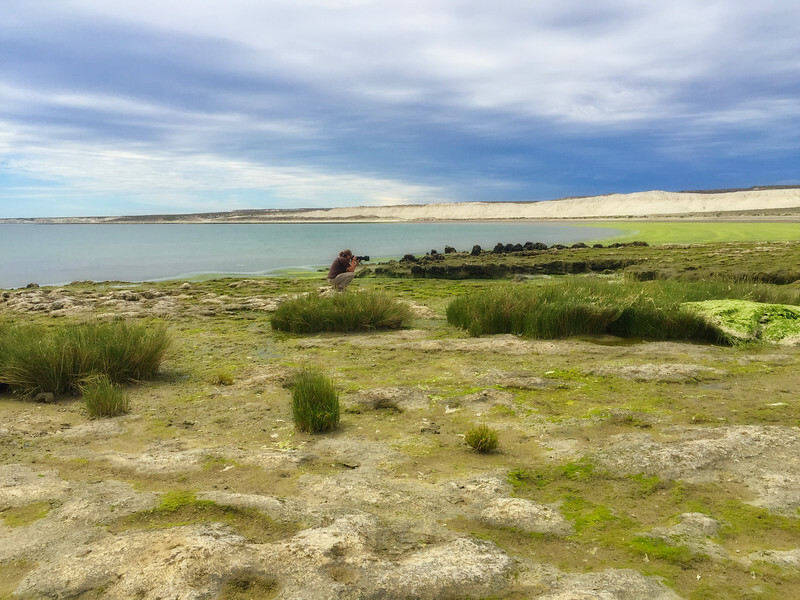 Although lacking water from their former days, if you look closely, you will find that life still abounds in this semi-arid landscape reaching out to the sea. This secret canyon (cañadón) would be our first stop during our day trip with Agustin. 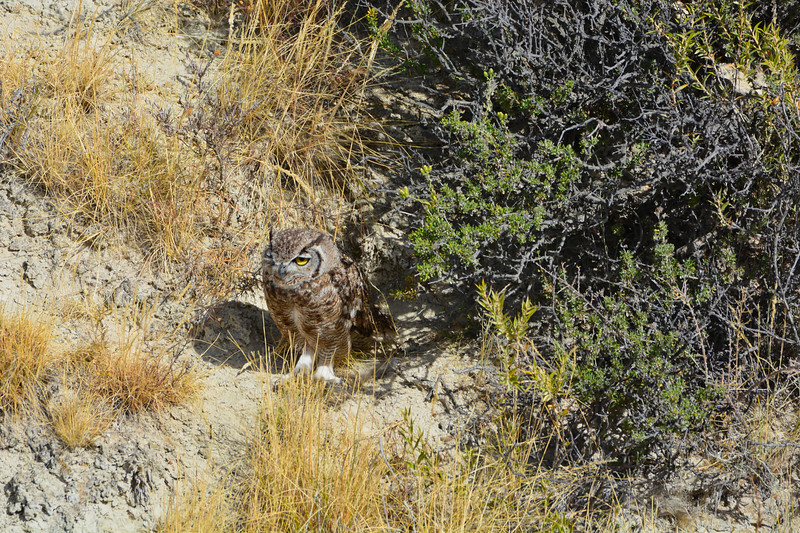 We parked the car at the end of a dirt road and walked in away from the sea, alongside a cañadón where a breeding pair of Magellanic Horned Owls (Bubo magellanicus) were known to reside. 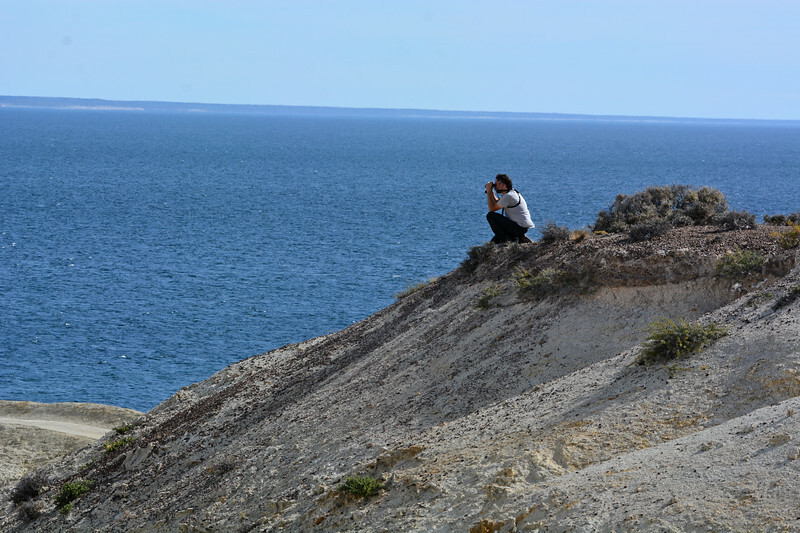 Our guide, Agustín patiently scanned the area looking for any sign of the small owls within the deep valley of the vast Patagonian landscape. 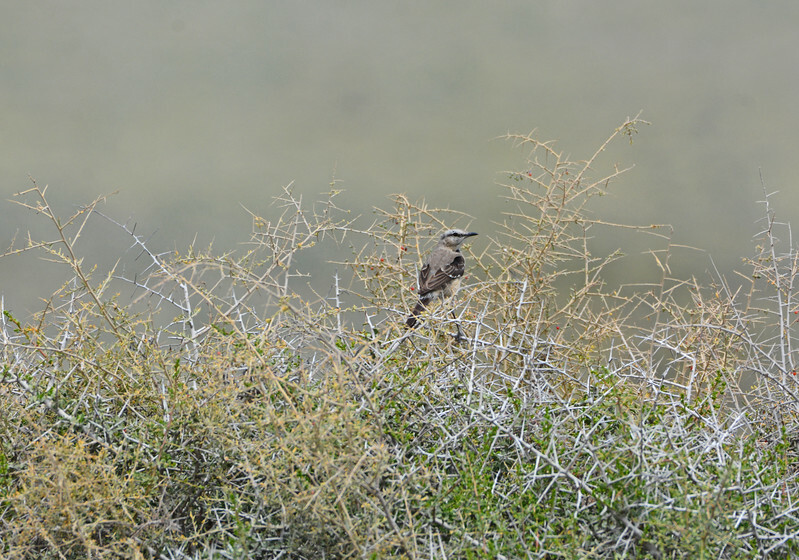 His keen eye finally located the male and we were able to observe this beautiful bird via our binoculars and spotting scope. 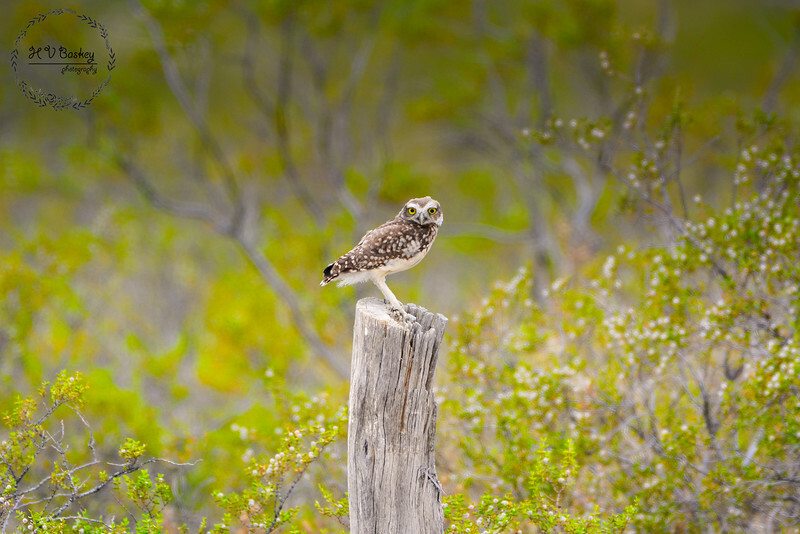 After our great viewing of the Magellanic Owl, we continued our journey south towards the nature reserve of Punta Loma. 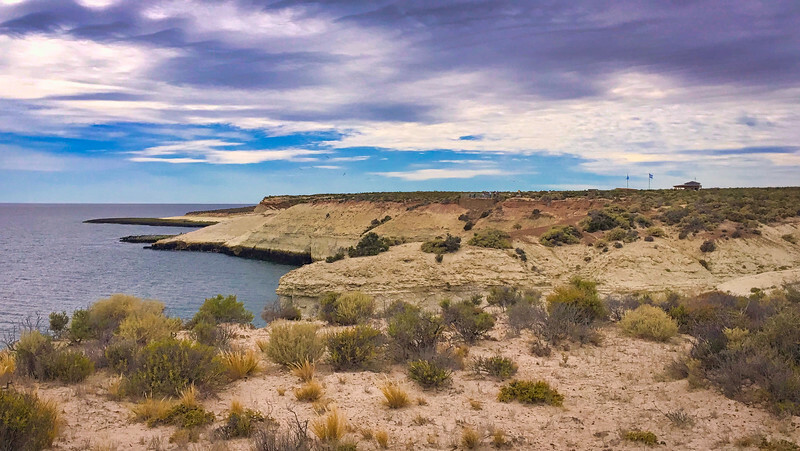 Away from the cliffs and canyons, the flat Patagonian landscape was mesmerizing. 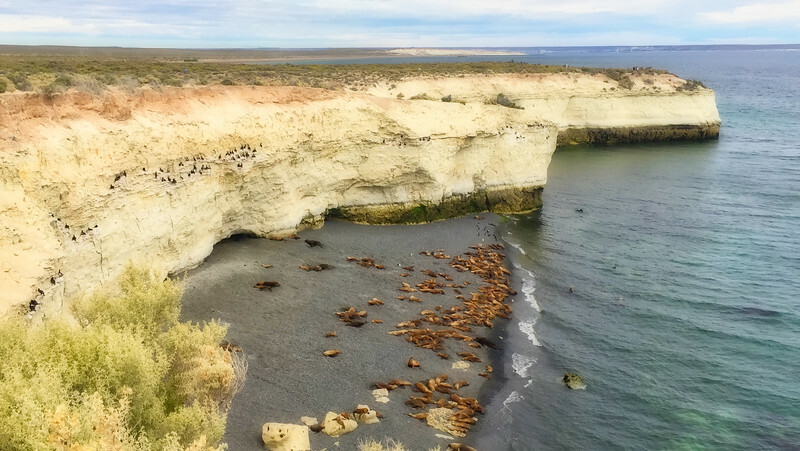 Back along the coastline where the plateau drops off to the sea, we stopped at the Punta Loma Nature Reserve to view the only stable resident colony of South American Sea Lions within Chubut province. 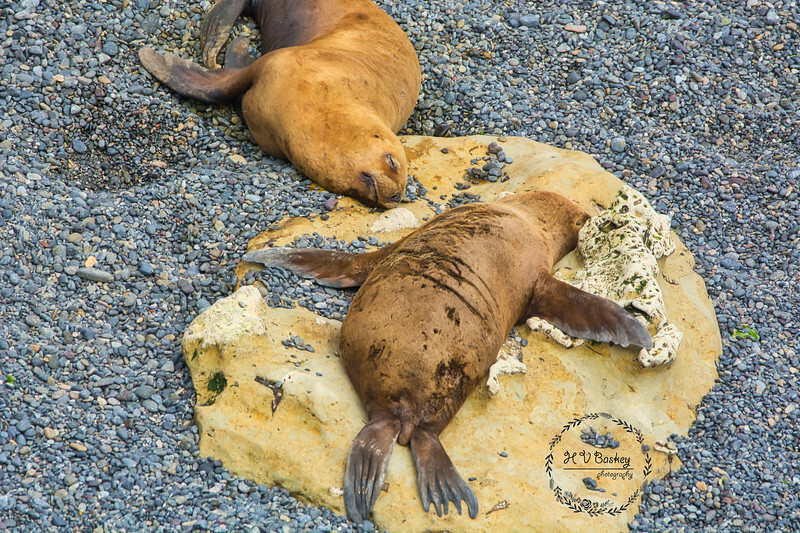 The reserve which was established in 1967, is located 17 Km south of Puerto Madryn. Along the pebbly beach coastline, caves are carved into the foot of the towering cliffs, where the plateau meets the sea. 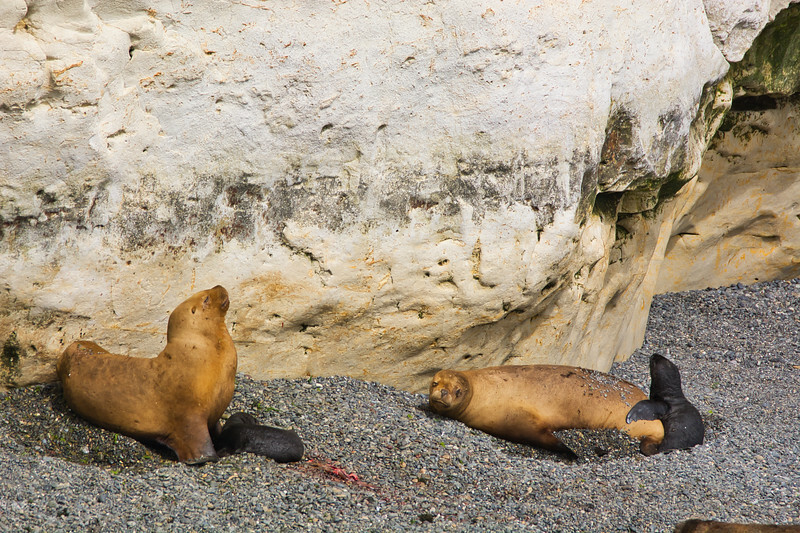 This sheltered area is home to approximately, 600 permanent residents of South American Sea Lions (Otaria flavescens). 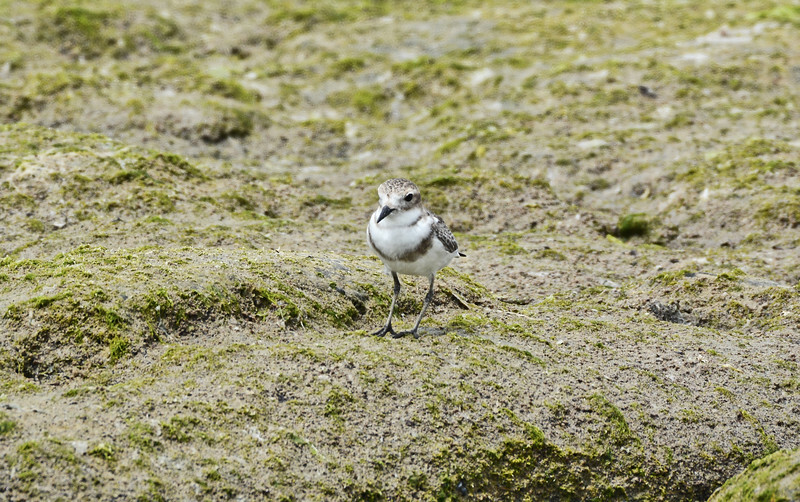 Watching their behaviour can be very interesting! 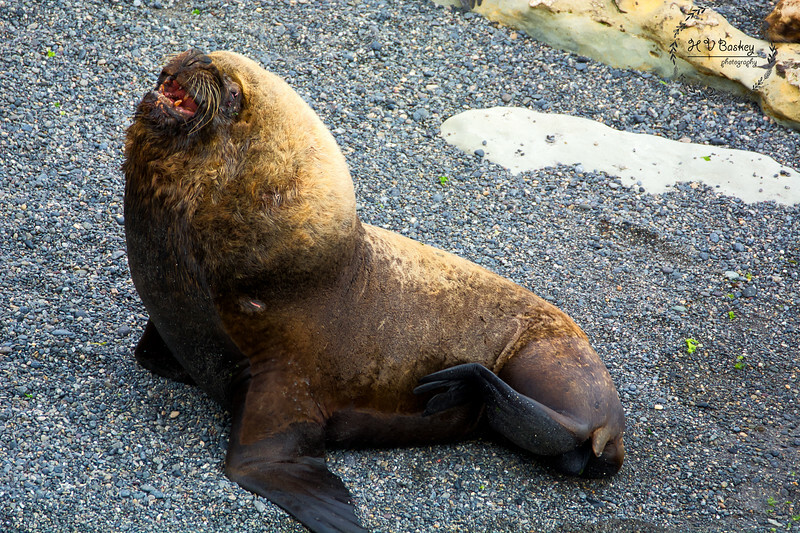 from bulls defending their small territories and harem of cows, to mothers & nursing pups, and to those who are just resting on the beach, flipping the pebbles over their back in an effort to cool down their moulting fur – one can easily pass time, enjoying shoreline antics of Punta Loma. 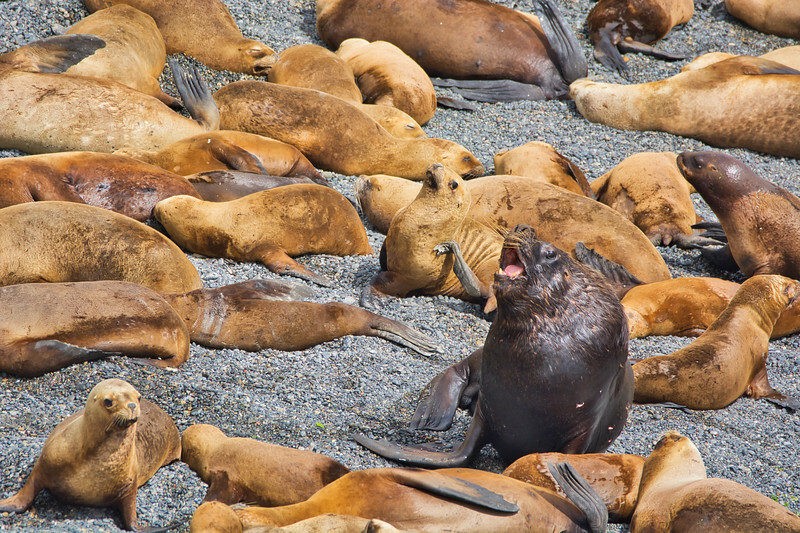 How I feel on a Monday morning! 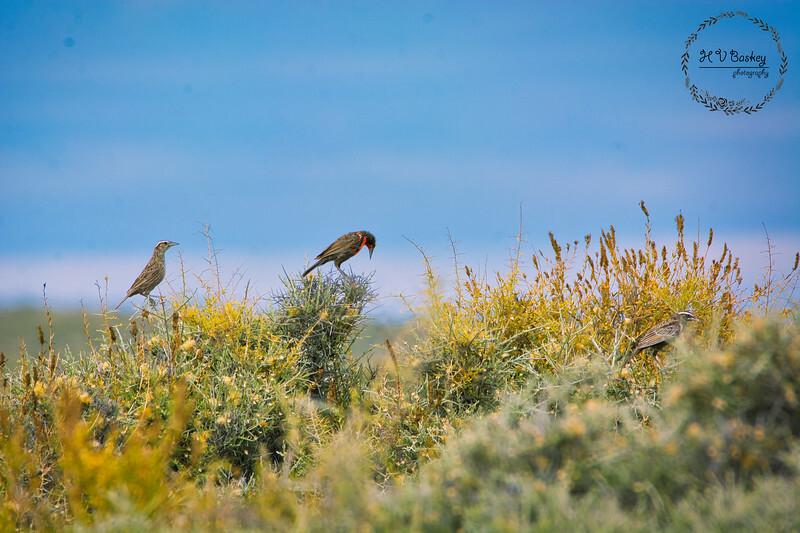 The reserve also has marked trails to walk to observe the flora and fauna of the Patagonian landscape. 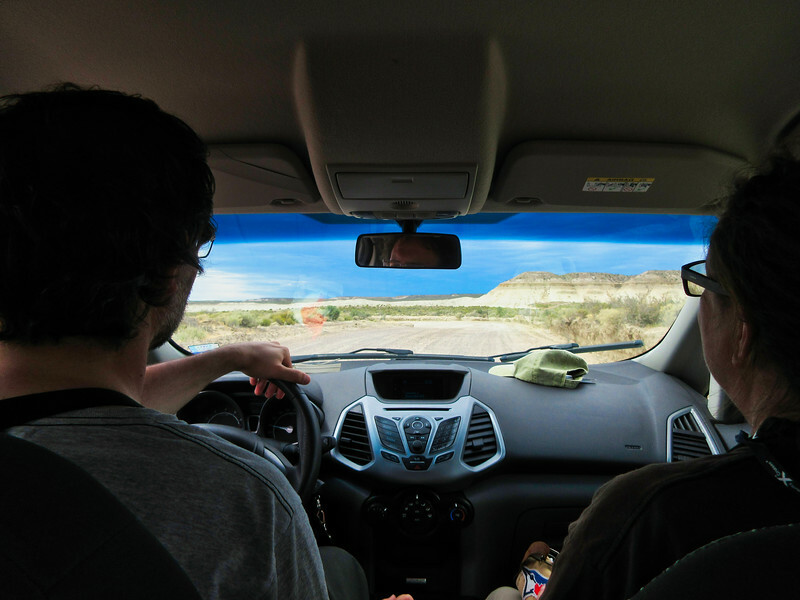 After Punta Loma, we drove further south to the area of Cerro Avanzado. The monotonous flat Patagonia plateau suddenly jutted upwards into the sky, marking the presence of the barren, but intriguing Mount Avanzado. 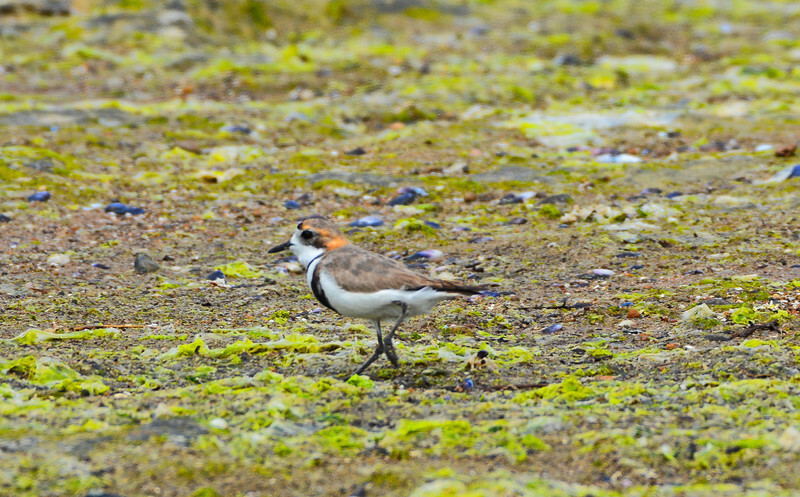 Within this area, we had a distant view of a lone Chilean Flamingo (Phoenicopterus chilensis) feeding in the shallow waters, a Patagonian Mockingbird (Mimus patagonicus) within the low laying scrub, and lovely shorebirds that included a pair of Two-banded Plovers (Charadrius falklandicus), and a Blackish Oystercatcher (Haematopus ater). 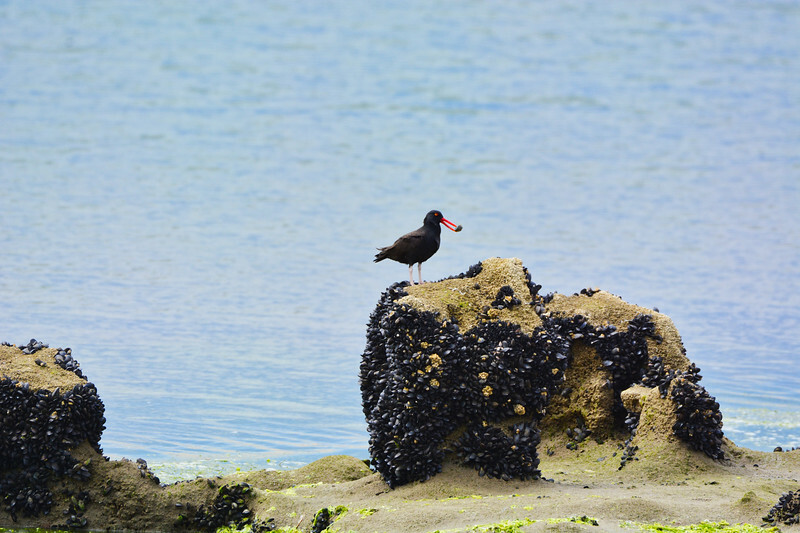 Blackish Oystercatcher (Haematopus ater) with a prize! 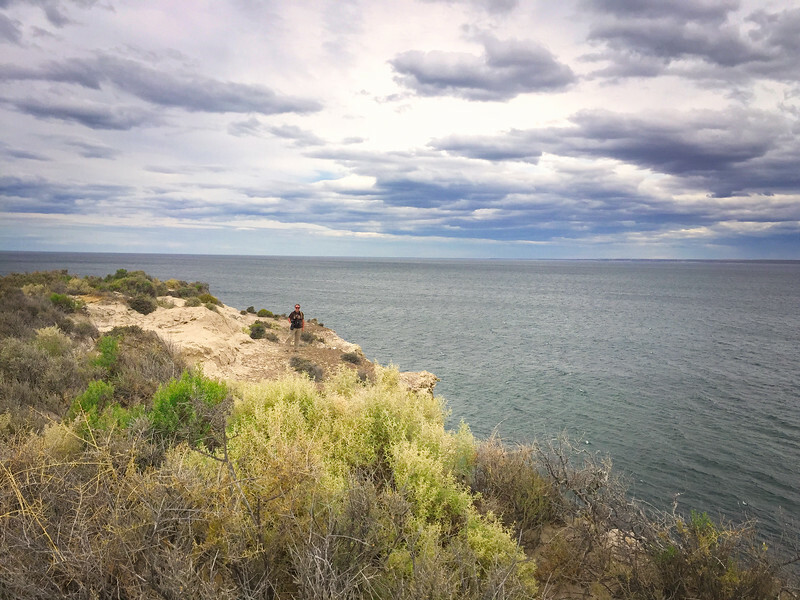 We drove back north towards Puerto Madryn Central and were able to observe a few species along the way within the city limits and along the coastline. 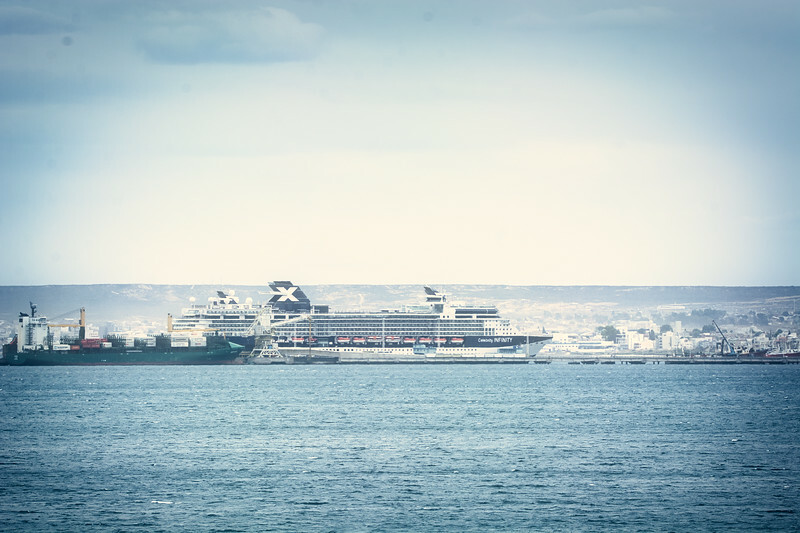 As we drove through the city centre and across to the other side near the cruise port area, the battered up fishing boats sinking into the harbour were once again a stark reminder of the illegal fishing trade. 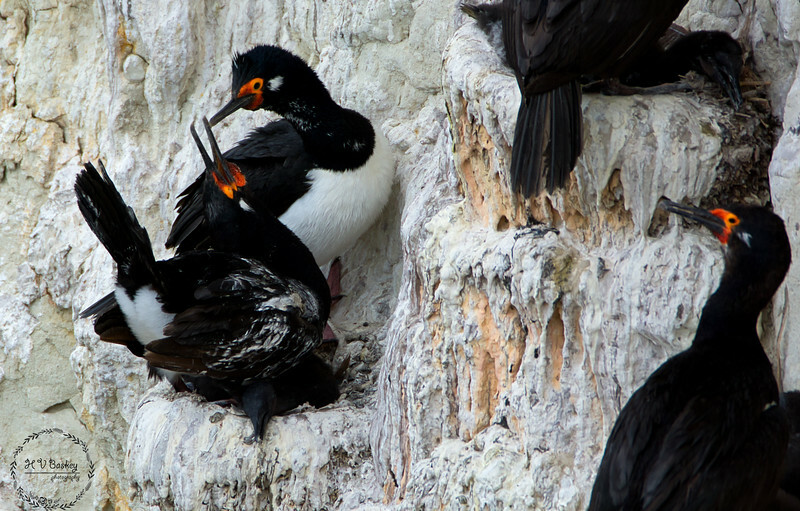 Argentina has an Exclusive Economic Zone (EEZ), yet it is plundered by Spanish and Chinese fleets in attempt to harvest from the ocean’s bountiful waters. 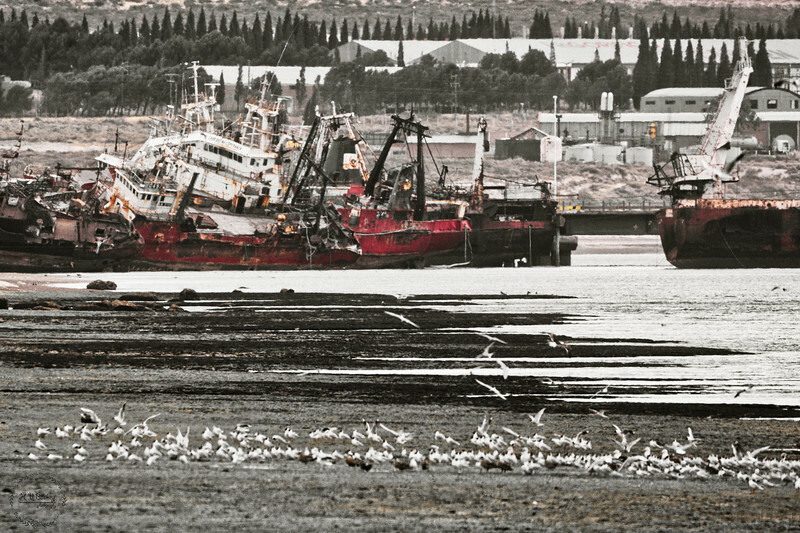 Boats that are seized can be retrieved for a hefty fine, but many are abandoned and Puerto Madryn has a graveyard for said relics. 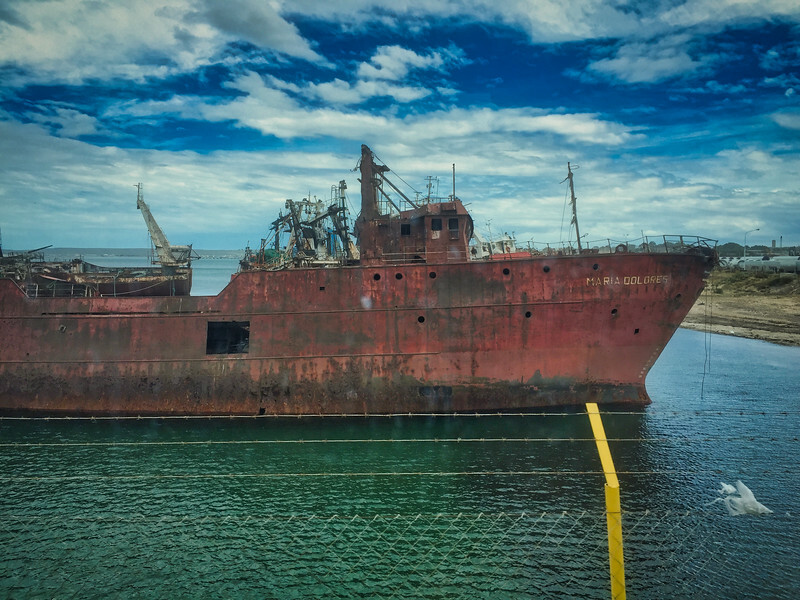 An interesting read on this subject (March 2018): “Argentina, the next battleground for illegal fishing” – describes the challenges that Argentina faces with illegal fishing practices within the EEZ. 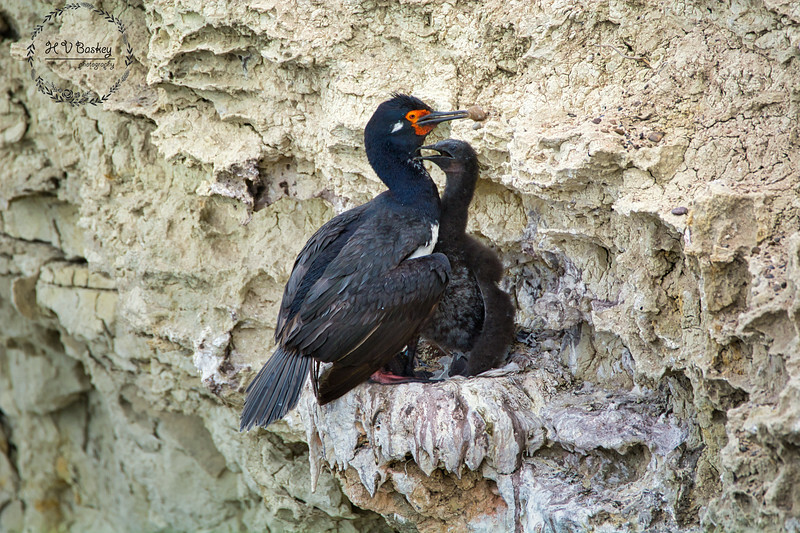 On the other side of Puerto Madryn, within Doradillo, we visited a Cormorant colony that included both the Magellanic (Rock) Cormorant (Phalacrocorax magellanicus) and the Imperial Cormorant (Phalacrocorax atriceps). 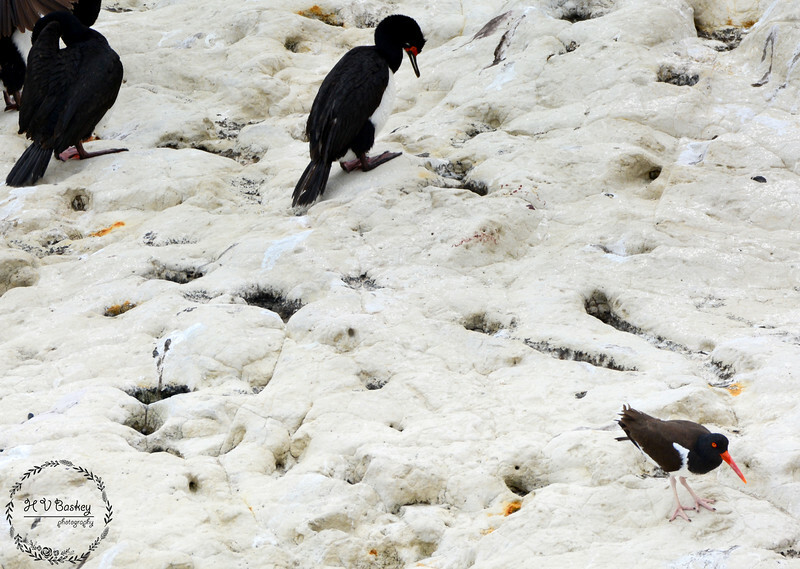 We had to walk along the cliff’s edge to get the best bird’s eye view – and it was all worth it! 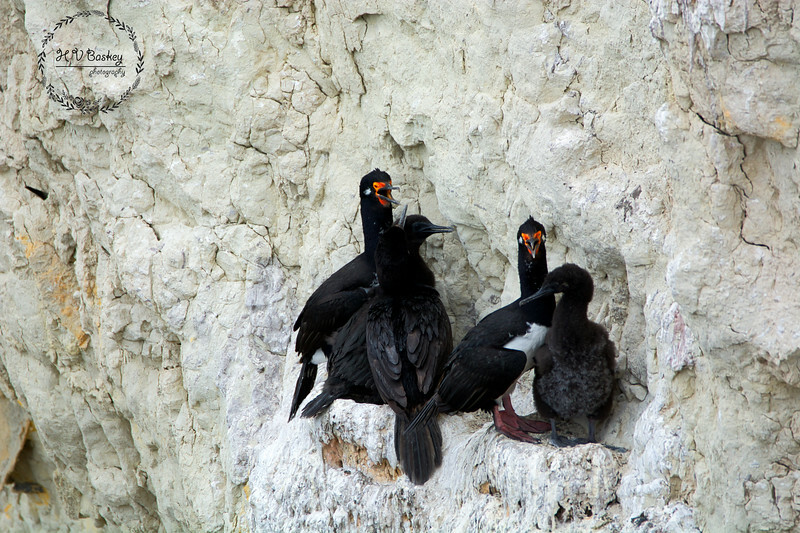 Rock Shags (Magellanic Cormorants) with chicks – living on the edge! 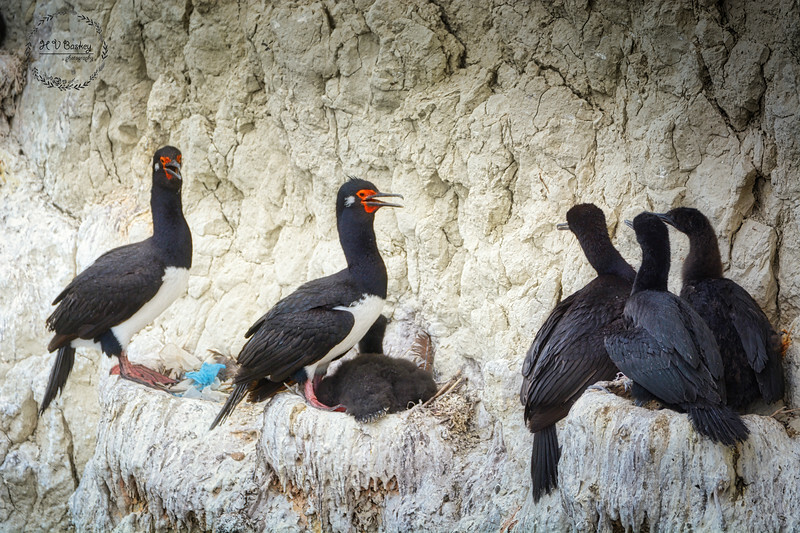 a plastic ladened nest (far left) – a reminder to us all, to eliminate or use less plastic! 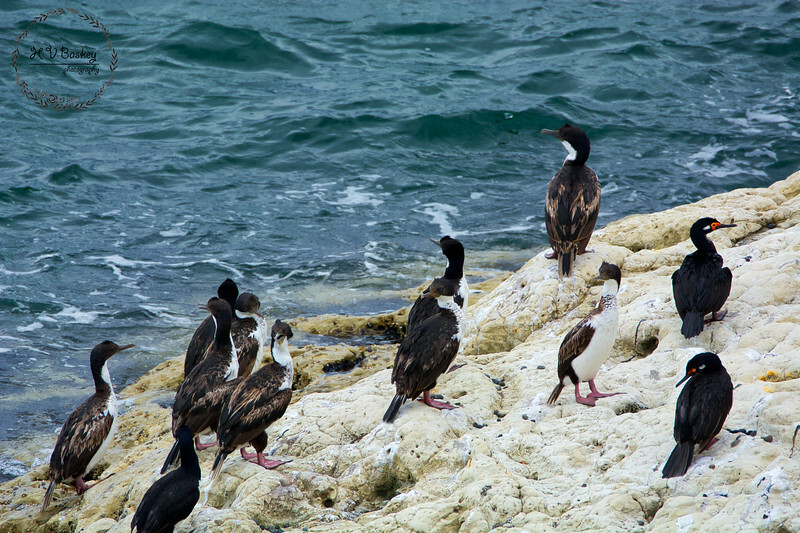 As we left the cliffs of Punta Dorado, Agustin took us for one last stop within the Doradillo region. 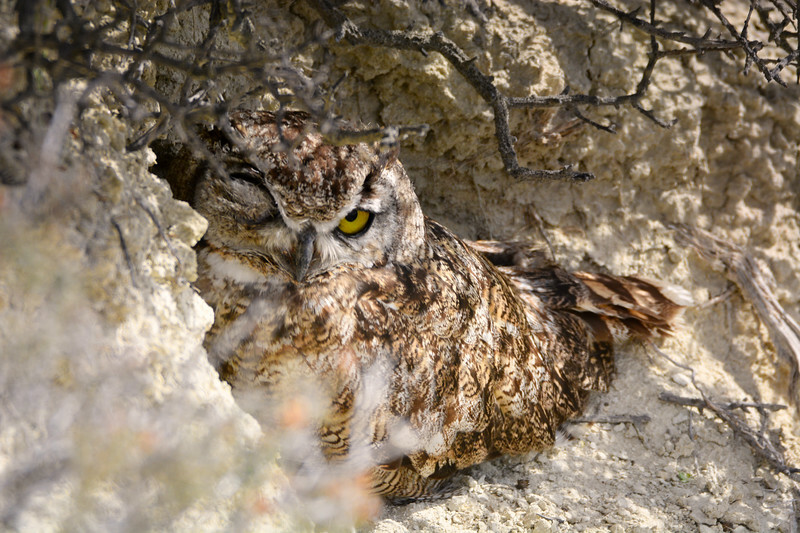 We started the day with an owl and we would end the day with an owl. 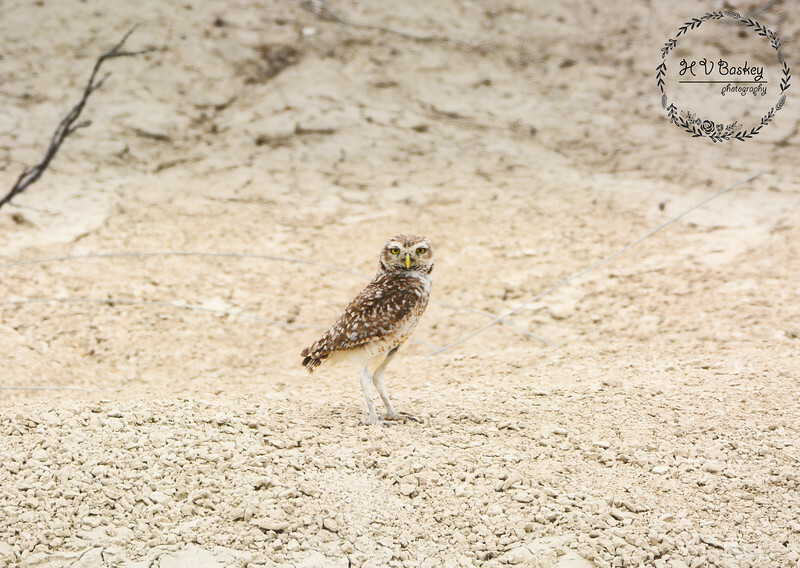 This time, a family of Burrowing Owls (Athene cunicularia) blessed us with their presence. I personally love these little owls, their expressive faces are priceless and I am grateful to finish the day with such a great observation before returning to our ship. 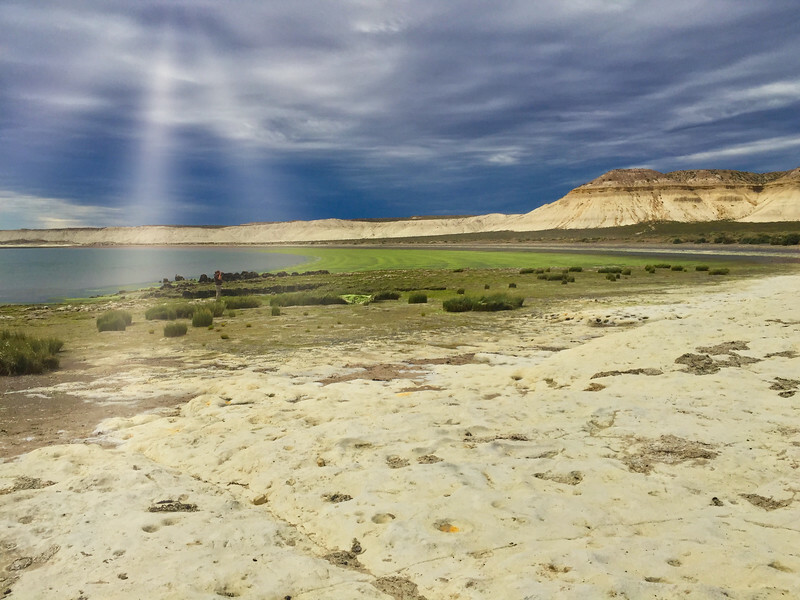 Thank you Agustin for a wonderful unique day within Chubut province! 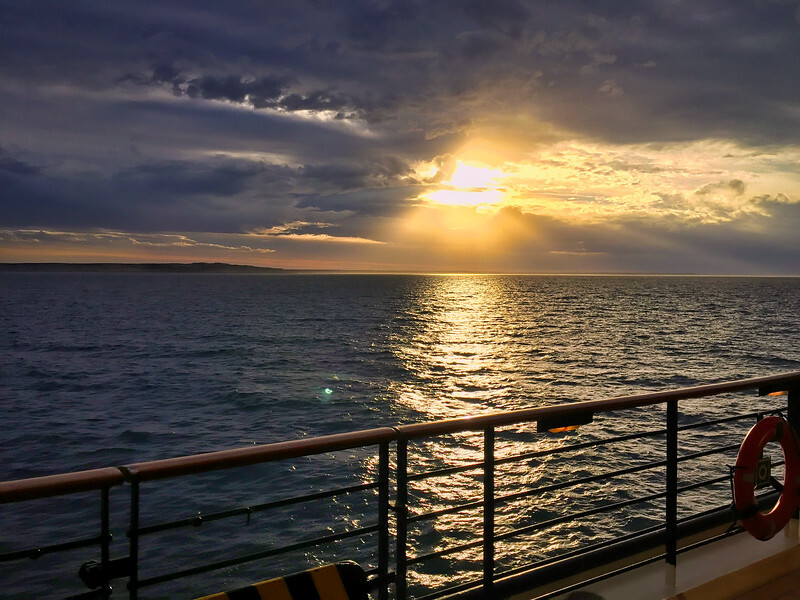 Good Night, Puerto Madryn … hope we meet again!